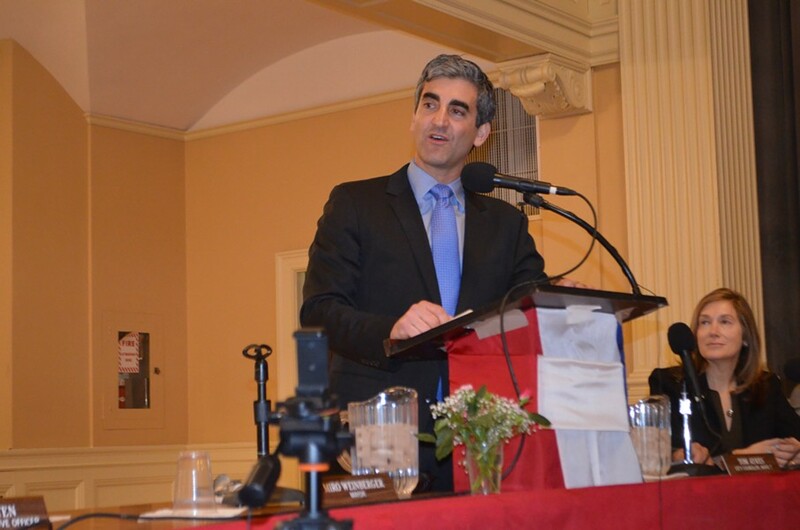 Move over, Miro Weinberger: There's a new batch of mayors coming to town. Burlington will play host to leaders from about 40 cities across the country during the Mayors Innovation Project's three-day annual summer meeting, which begins on August 16. The event is for policy wonks and those interested in collaborative brainstorming, said Satya Rhodes-Conway, the organization's managing director. Or, she added, there's the way former Madison, Wis., mayor Dave Cieslewicz referred to it: A gathering of the "nerd mayors of America." Cieslewicz founded the group in 2005 with a goal of creating "a learning network for American mayors committed to 'high road' policy and governance: shared prosperity, environmental sustainability, and efficient democratic government." Former Burlington mayor Peter Clavelle joined the group at its inception and Bob Kiss later continued the tradition. Weinberger, in his second term as Queen City mayor, is a member of the MIP's steering committee. He sees hosting the conference as a way to "raise the profile of the city." "There's a great deal of interest in some of the things going on here," Weinberger said. The conference covers a variety of topics that "expose our member cities to good ideas and interesting things around the the country," Rhodes-Conway said. On next week's agenda of "good ideas": Los Angeles' housing policy specialist Ben Winter will highlight his city's work on permanent supportive housing, a representative from Seattle's planning and community development office, Katie Sheehy, will speak to the city's efforts to address racial inequity through development, and Ithaca Mayor Svante Myrick is scheduled to discuss his multifaceted approach to battling the opioid epidemic. Bill McKibben will give the keynote address during an August 17 dinner at the ECHO Leahy Center for Lake Champlain. There will be no shortage of Burlington city officials strutting their stuff. Police chief Brandon del Pozo will participate on a panel about 21st century policing, while Burlington Electric Department's general manager Neale Lunderville will discuss the city's net zero goals. Beth Anderson, the city's chief innovation officer, will outline Burlington's approach to data. Weinberger will use the event's downtime to show off Burlington landmarks. The schedule includes a ride along the bike path, a visit to the wood-burning McNeil plant, and a tour of downtown Burlington. Attendees will head to the South End's Pine Street corridor for a welcome reception at Citizen Cider and dinner at ArtsRiot. There's also a group outing to a Vermont Lake Monsters baseball game at Centennial Field.